Sony is set to stop manufacturing the PlayStation Vita at some point in 2019. At least according to Sony Interactive Entertainment Senior Vice President Hiroyuki Oda. What’s more, the company currently has no plans to release a new handheld console. The PlayStation Vita, commonly referred to as the PS Vita PlayStation Vita Slim Review And Giveaway PlayStation Vita Slim Review And Giveaway Is this Vita Slim (also known as the Vita 2000) better than the original? Read More , was first launched in 2011. It was the follow-up to the PlayStation Portable, or PSP, which brought Sony into the handheld gaming market to compete with Nintendo and its DS model. Unfortunately for Sony, unlike the PSP, which sold 80 million units worldwide, the PS Vita failed. To date, Sony has sold just 16 million units. This compares rather unfavorably to the Nintendo 3DS, which has sold 70 million units in the same time period. Is This the End of the PlayStation Vita? Now, in an interview with Famitsu (via Gematsu), Hiroyuki Oda has strongly suggested the PS Vita’s days are numbered. Oda said, “In Japan, we will manufacture PlayStation Vita until 2019. From there, shipping will end.” Which sounds definitive. It isn’t actually clear whether Sony is stopping manufacturing the PS Vita just for the Japanese market or worldwide. However, seeing as the PS Vita has done better in Japan than anywhere else, it’s logical to assume this is the end, period. What’s more, it seems that this might be the end of Sony’s foray into the handheld console market, with Oda saying, “Currently, we do not have any plans regarding a new handheld device.” While Sony might surprise us all in a few years, it seems unlikely. 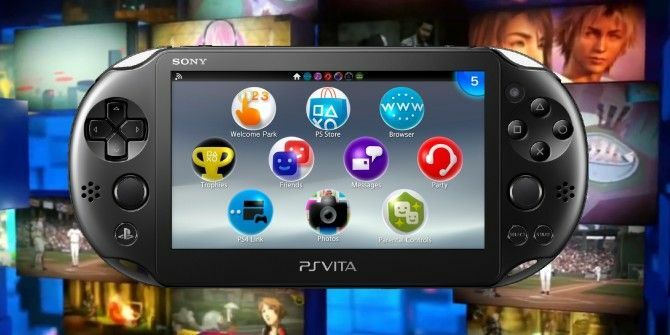 What Went Wrong for the PS Vita? So, what went wrong for the PlayStation Vita? The obvious answer is bad timing. Over the last seven years Sony has not only had to compete with the Nintendo 3DS, but also with the rise of smartphone gaming. Which is now more popular than ever. While plenty of people still own dedicated handheld consoles, the size of the potential market has shrunk as a result of mobile gaming 10 Addictive Mobile Games You Can Play, 5 Minutes at a Time 10 Addictive Mobile Games You Can Play, 5 Minutes at a Time Here are our recommendations for the most addictive mobile games to play when you have five minutes to spare. Read More . And that isn’t going to change anytime soon. Which is probably why Sony’s handheld days are over for good. Explore more about: PlayStation Vita, Sony.